As an armed professional police officer for three decades one of my main concerns after choosing a weapon for my various duty assignments was to ensure I chose the best leather gear I could possibly find. After you choose your weapon the leather choice will be your next item to purchase but no less important than the weapon you’ve decided to carry. 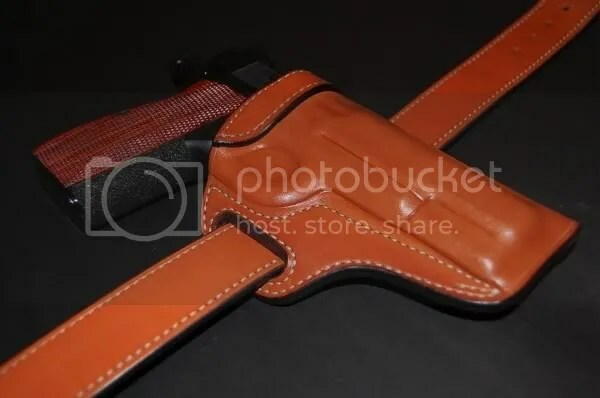 The importance of your gear is not only limited to your holster design but choice of material, craftsmanship, attention to detail, comfort in wearing it for many hours but the dedication of the custom leather artisan to giving the owner the best gear possible knowing your life can depend on the best holster, belt and mag pouches as well as other accessories. 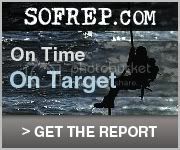 I read Erik’s entire website and was convinced that this is a man who knows his craft and is totally dedicated to giving his customers the best product he possibly can produce. 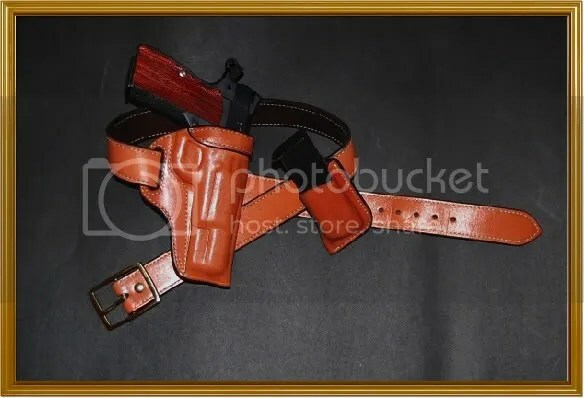 I contacted Erik about crafting a holster for my Hi Power as well as a matching gun belt and single mag pouch in light tan. Within a little over two weeks I received a package in the mail that had the most beautiful rig I’ve ever seen. The tan color was uniform in all three pieces. 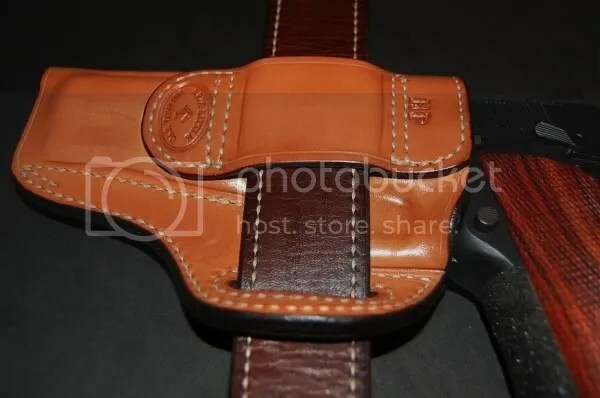 The stitching is medium heavy and very straight not to mention being stitched in a way that supports the body of the holster, belt and mag pouch. The belt buckle is brass but is available in silver as well. 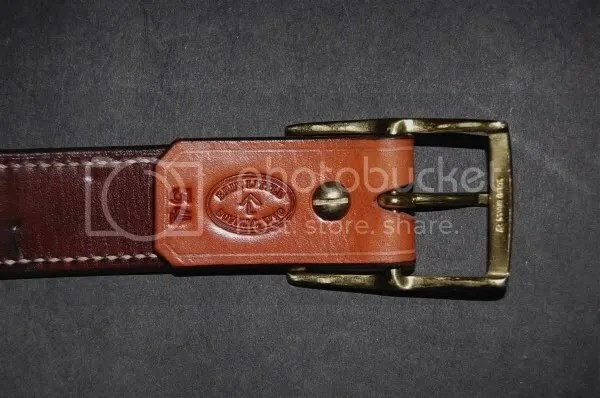 The buckle can also be changed out by removing as screw in the back of the belt. 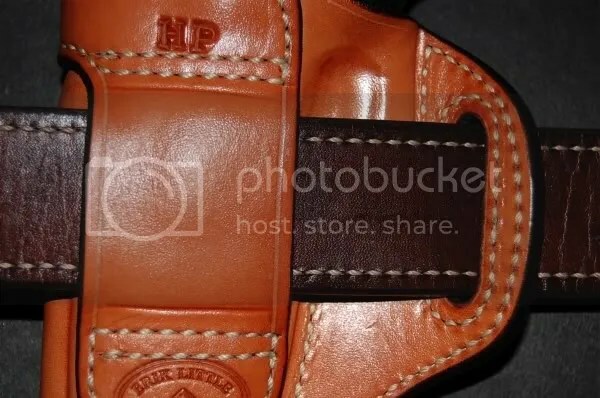 You can attach a buckle like the Gunsite buckle or about any buckle you would want as long as the belt fits with the new buckle attached. The fit of the belt is perfect. 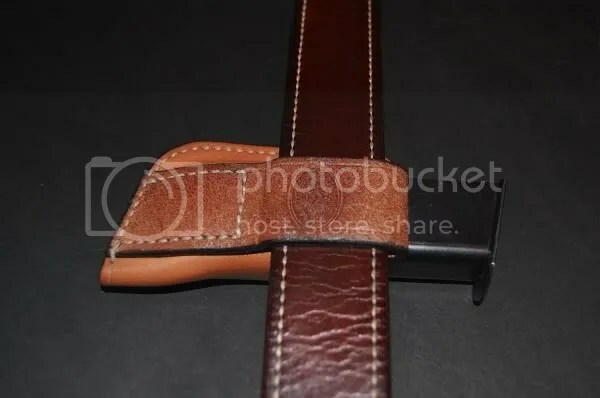 Erik request you send exact waist measurements so the belt is custom to fit you and is not a stock 34, 36 etc. The stitching on the belt and the mag pouch are also very exact. One thing you find on many custom rigs is a tendency for the top of the gun to hang out to the side a bit. 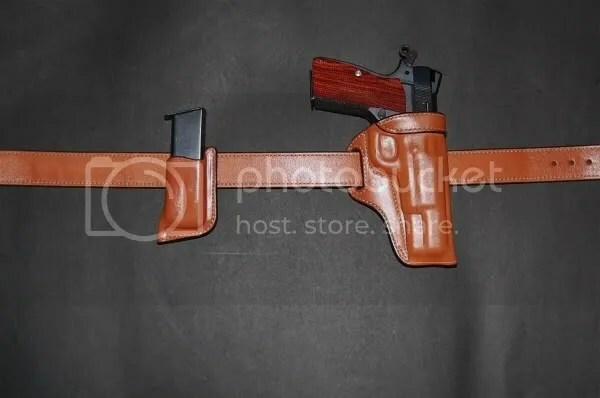 Erik makes his holster similar to the Askins Avenger but does ride a little lower so that the pistol and holster are held very close to the body. The mag pouch is constructed in the same manner and fits very close to the body as well. 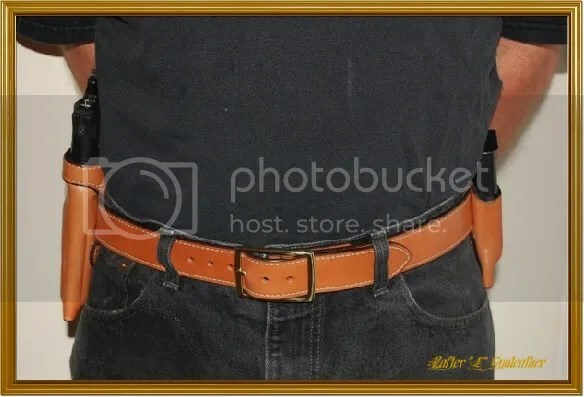 The belt is stiff enough to hold any accessory close to the body. The whole rig is very comfortable. I’ve been wearing it on the range and just around the house and it’s very comfortable to wear all day. The fit of the pistol in the holster is also snug but is easy to draw your weapon from. The same applies to the mag pouch. I wrapped my pistol in a piece of plastic wrap for a couple of days to obtain the best fit. Breaking a holster in this way works very well. 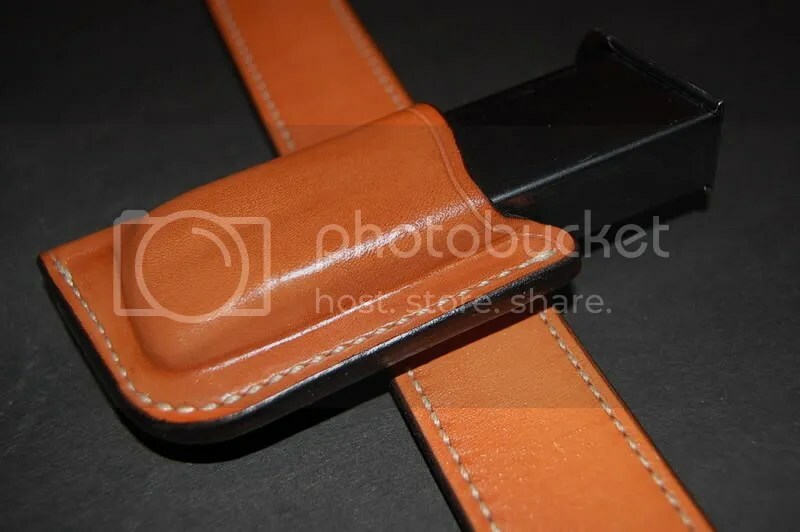 The top of the holster is also reinforced to keep the holster open and easily reholstered. The edges of all the gear is smooth and slightly rounded not only for aesthetic purposes but to make it smooth and comfortable and will not snag. All holsters will remove some finish eventually. The fit has something to do with it. 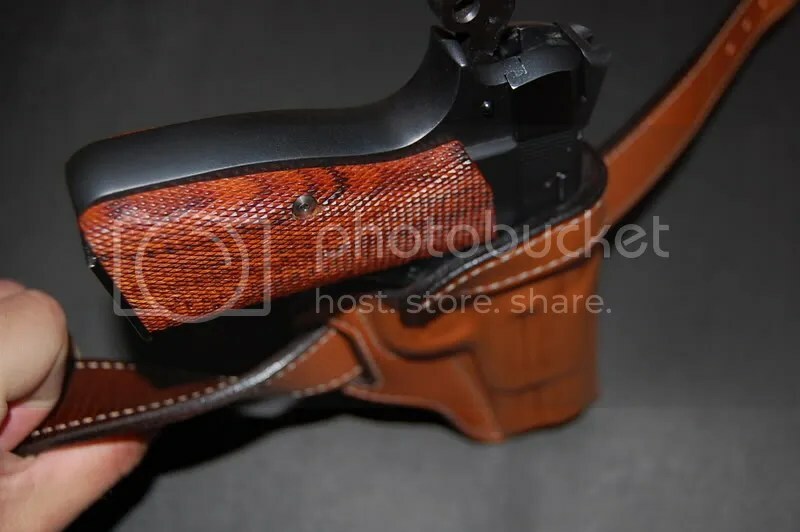 If you used a holster that was for a gun larger than intended for yours that would delay it some but truthfully there is not a holster made of a ny material that will not remove some finish. Normally the wear is around the muzzle up to about two inches back. The Colt has a good blue finish which is not as prone to wear as some other makers guns but within six months of use it will happen to a degree. 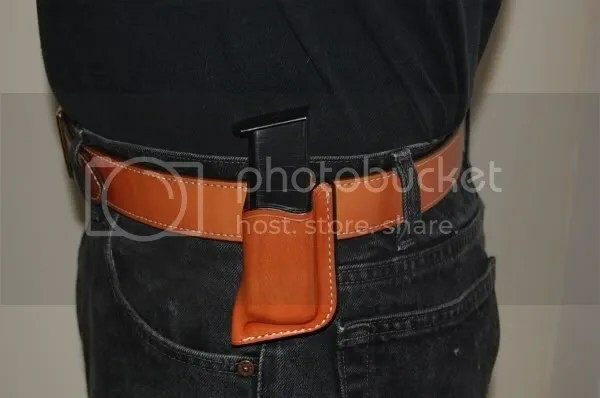 The holster, belt and clip pouch (All tan in color) is exactly what I am looking for. How do I get a price list so I can order? Hi Phil,I wrote you a while back, about a Rock island armory compact tactical,that I was purchasing,well, I have had it for a while now,and it is everything I expected,the trigger breaks at a crisp 2 and 1/2 lbs,and the slide to frame fit is great,and it takes everything I put through it,I have also purchased the glock 22 RTF in .40 cal.this is the first glock I have ever owned,and it really suprised me with how accurate it is,but my .45 autos will always be my favorites.talk to you soon phil. Good to hear from you and also great to hear the “Rock” is performing well:-) You certainly got a wonderful trigger on that one. They are sure amazing guns for the price—well any price actually! I’ve never been a big Glock fan but I have been issued them before retirement and they are surprisingly accurate and can be made even better with a match barrel from Kart or other quality makers. Something for thought anyway. No matter what pistols I have the ol 1911 is my preferred daily carry pistol. I did get a new Walther PPS in 9mm and will be doing a review on it. Even though it’s similar to a Glock action it’s a bit less likely to accidentally discharge. This is a true pocket pistol in 9mm at only one inch wide at the widest point. Anyway glad you wrote and happy shooting! Thanks for sharing your expertise. I recently bought a Ruger SR1911 that I’m extremely pleased with. But, although a capable shooter, I’ve never used a holster. As a result, after a couple of trials and returns, I gave up, not at all confident that I knew how to judge what is right for me. Your insight helps.